Sure, summer’s all right in the Cascades. But come winter, when we in the valley soak in all manner of untoward precipitation, that signature spine of volcanic peaks running along Oregon’s back comes alive. 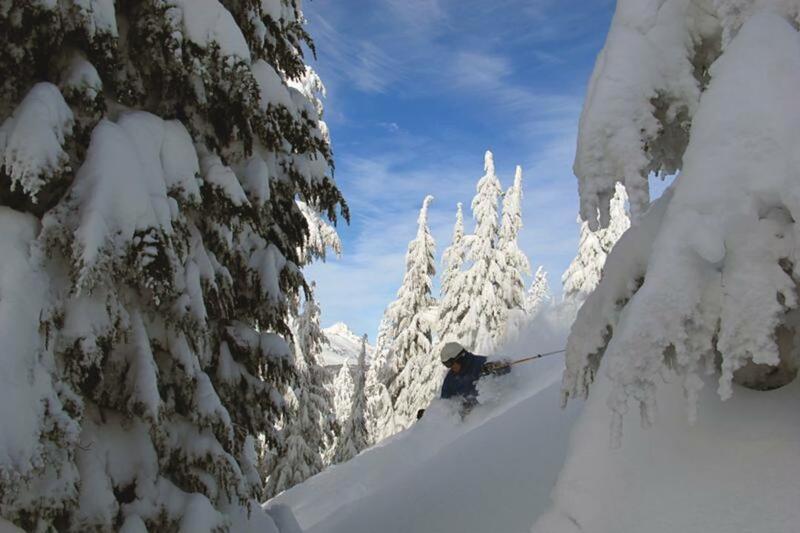 Northwest powder blankets toothy crags and dusty slopes from Hood to McLoughlin. 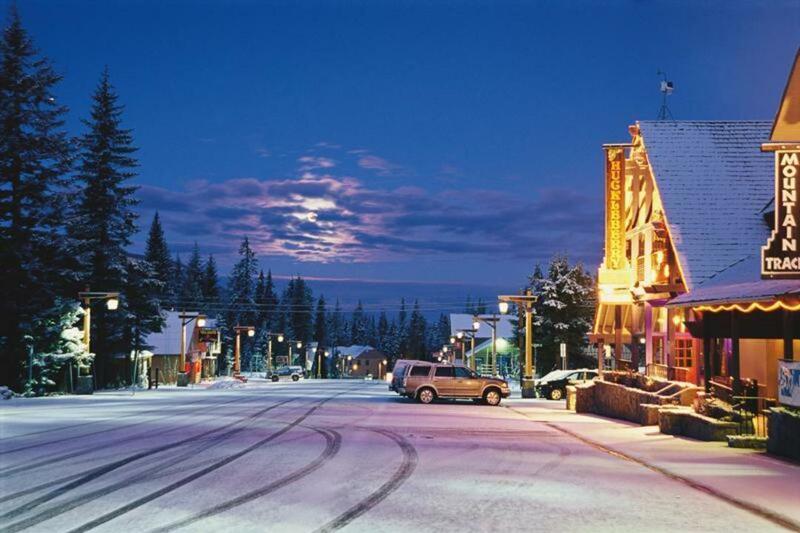 And while Aspen and Tahoe will inevitably be overrun with adrenaline junkies in search of deep snow, Oregon’s mountain lodges and resorts big and small offer relief with rustic, throwback charm. 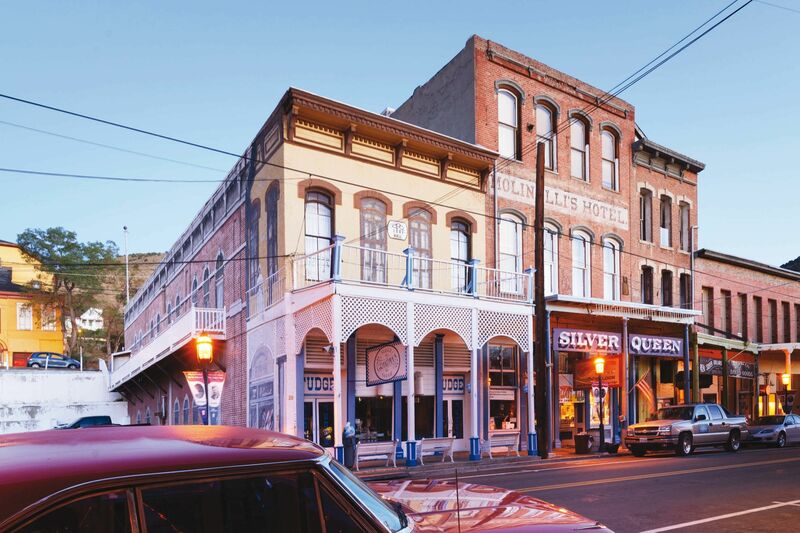 Here in the Beaver State, brawny historic buildings, ambitious breweries, and off-the-radar snow stashes replace colossal crowds, sleek hotels, and celebrity sightings. 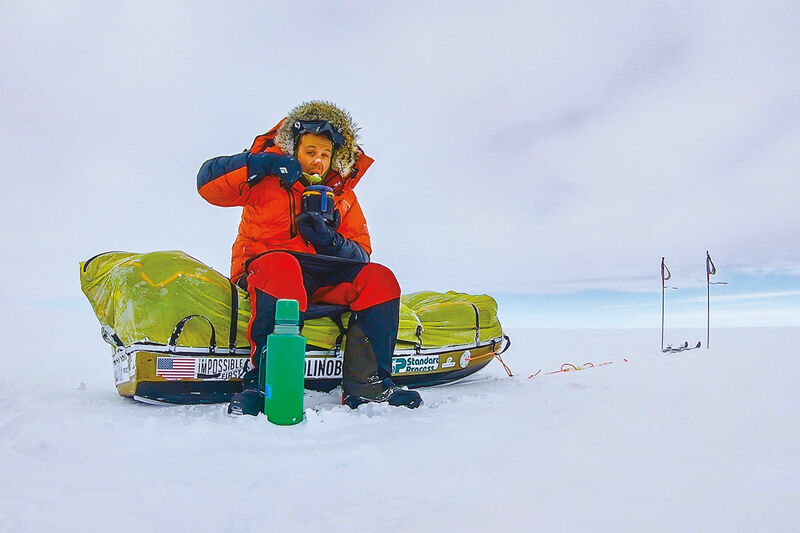 We’ve got three itineraries to prove it—go forth and ski. EAT: It’s worth planning your visit around one of the monthly, six-course Winemaker’s Dinner series at the historic Silcox Hut (1,000 feet above Timberline Lodge, snowcat ride included). If you miss it, not to worry: down in the blossoming “alpine village” of Government Camp, you can sample the 10 beers brewed at Mt Hood Brewing Co’s newly remodeled Ice Axe Grill; get your fill of hearty Euro eats, goulash to jägerschnitzel, at Glacier Haus Bistro; or assemble an impressive picnic of baked goods and organic chocolates at Govy General Store. 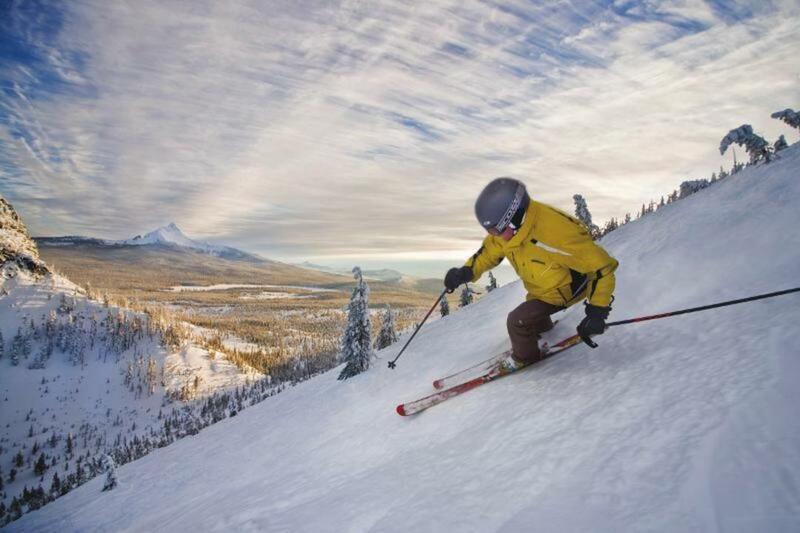 EXPLORE: Click into your skis right outside Timberline’s door and cruise down to Government Camp on the Alpine Trail, a three-mile run that drops 2,000 feet into town. 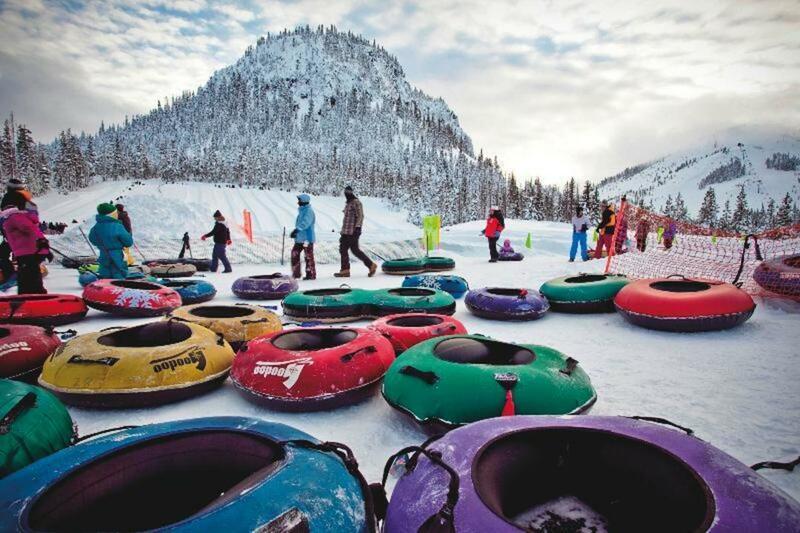 For evening adventure for anyone over 3 years old, head over to Skibowl on Friday or Saturday nights for Cosmic Tubing, complete with lasers, black lights, and a live DJ. EAT: You’ll be treated to breakfast in the lodge’s main dining room, paired with views of Mount Jefferson and Three Fingered Jack. When you tire of unwinding by the fire (if that’s even possible), make an excursion into nearby Sisters, where Jen’s Garden serves up French-inspired cuisine inside a storybook cottage, and Three Creeks Brewing embraces the Old West aesthetic. EXPLORE: In addition to 800 acres of terrain and 32 runs, Hoodoo Ski Area boasts one of the biggest sled zones in the West: Autobahn Tubing Park. Not only that, it’s just about the only place in Oregon where you can take lesson in snowbiking, an odd and thrilling combination of skiing and biking—perfect for the Portland commuter. EAT: Inside the resort, the Grille at Crosswater offers Northwest classics in a cozy, wood-clad setting. 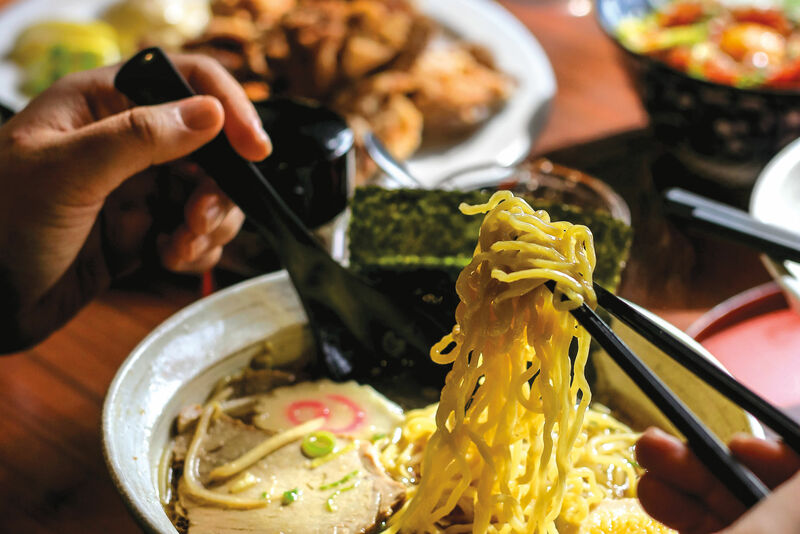 But we recommend venturing off-campus to sample some of Bend’s rising culinary gems. Start at brunch spot Chow for fresh, hearty dishes like bacon French toast and corned beef hash. Later on, let the good times roll with Cajun spices, fiery cocktails, and duck-fat fries at Zydeco Kitchen. And don’t miss cozying up to a pint at 10 Barrel Brewing, where the seasonal Pray for Snow brown ale is a surefire belly-warmer. EXPLORE: Once you’ve explored Mount Bachelor’s sprawling, diverse terrain, head over to the High Desert Museum in Bend, where art, history, and wildlife blend. When night falls, gaze at the winter sky’s constellations through powerful telescopes at the Oregon Observatory, or venture into the woods on a moonlight snowshoe trek with Wanderlust Tours. HOOD: Make your approach via Route 26, but head back on I-84 and stop for a brick-oven pizza at Double Mountain Brewery in Hood River. 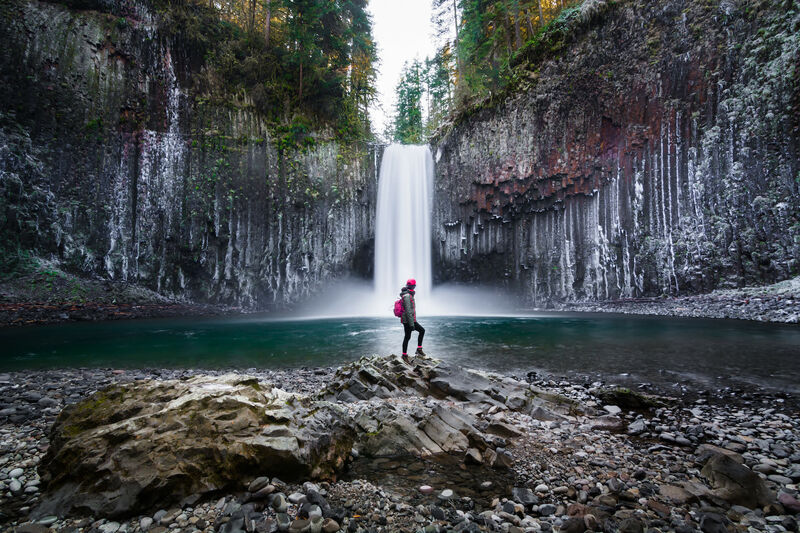 BACHELOR & HOODOO: Taking I-5 south and heading east from Salem on Route 22 leads you over the stunning McKenzie-Santiam Pass Scenic Byway—-but Route 26 sweeps through the jaw-dropping canyons of Warm Springs. We recommend going down one way and back up the other.